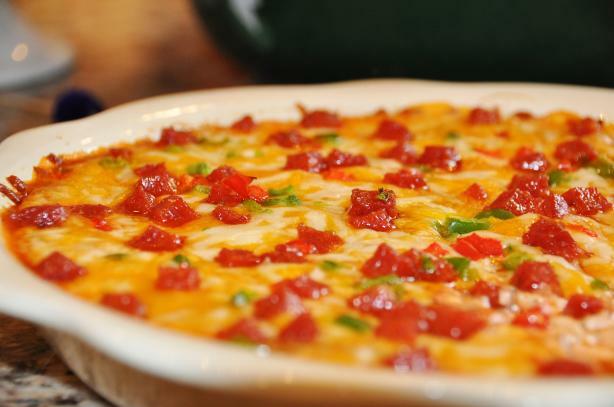 Sasaki Time: Hot Pizza Dip Recipe! 1 Combine cream cheese and seasonings. 2 Spread in the bottom of a 9 inch pie plate. (I used a round cake pan). Combine cheeses and sprinkle half over the cream cheese layer. 3 Spread sauce over that. Sprinkle remaining cheese on top.Bake 350 for 20 minutes. 4 Serve warm with breadsticks or tortilla chips.